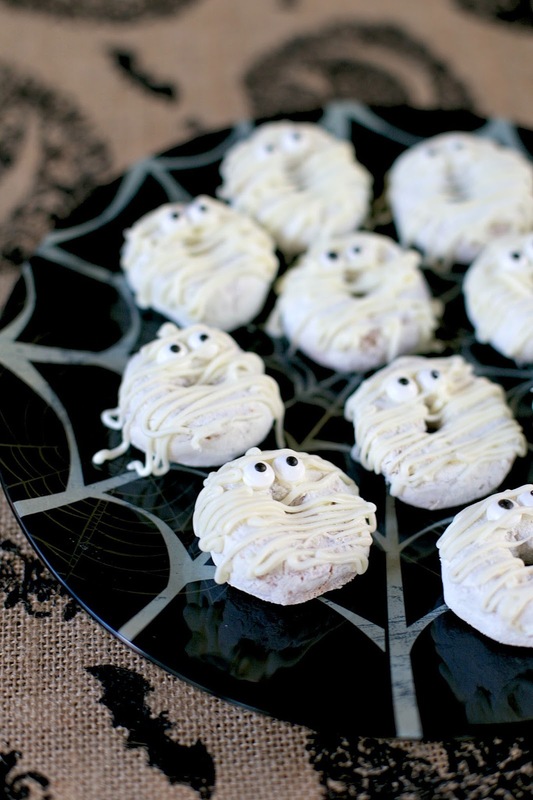 Mummy Doughnuts - doctor up some powdered doughnuts for quick Halloween breakfast idea - also great for classroom parties! I love Halloween. I'm not really sure why, but I just do! I'm sure it has to do with the fact that once Halloween is here that means that Christmas is right around the corner. :-) I also love making lots of fun Halloween themed food. You can see previous Halloween recipes here: http://www.plainchicken.com/search/label/halloween. I love these cute Mummy Doughnuts. They are made with a bag of powdered doughnuts (Chicken Legs' favorite), some candy eyes and candy melts. 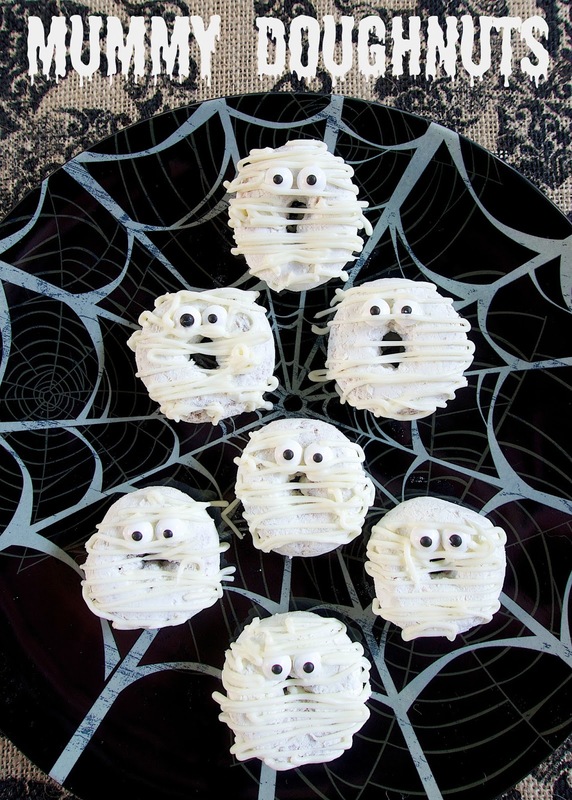 These are super easy to make and would make such a cute Halloween breakfast. I know I will be making them again at the end of the month. They would also be great for class Halloween parties. Place doughnuts on wax or parchment paper. Melt almond bark according to the package directions. Pour melted almond bark/candy melts into squeeze bottle. Place a little melted bark on the back of each candy eye and place two on each doughnut. Drizzle almond bark onto doughnuts to make mummy. These are flippin' precious and so easy! I know a little boy who will be taking these to his classroom Halloween party! How cute are these? Love this idea!